Not content with having four very similar Planning Applications overturned previously in quiet, suburban Highams Park, London E4, (including one taken to a Public Inquiry), nothing seems to be able to stop Tesco trying again, with a remarkably unchanged plan for a mega-superstore with crowded urban-style blocks of adjacent flats. Only this time it’s got a “travellator”, you know, the kind of moving walkway normally found at airports, to take you from the ground floor car park atrocity to the first floor store. Here is my letter to the Planning Officer. I am writing to object to the Planning Application from Tesco Stores for the Jubilee Avenue/Larkshall Road site in Highams Park. It is my view that this development would not satisfy the objectives of the complete planning strategy of the London Borough of Waltham Forest. Any development pursued under the new Local Development Framework must incorporate full adherence to the objectives of the Sustainable Communities Strategy, the Climate Change Strategy and the direction of the overall Sustainability Appraisal. Any plan accepted under this new Local Development Framework must also satisfy the requirements of the London Plan and the national planning guidance, including the reports of the Competition Commission and Ministerial direction. The Climate Change Strategy clearly states : “The climate change strategy seeks to produce a scenario by which Waltham Forest can attain an 80% CO2 emissions reduction on 2005 levels by 2050 to mitigate climate change.” This covers all sectors : homes, workplaces, commercial, transport; not just the Council functions. This policy is in line with the national Climate Change Act 2008 which sets Carbon Budgets for each Government Department and economic and social sector. The Carbon Budgets will be implemented as a series of gradually decreasing steps in Carbon Emissions, via a diverse raft of measures. The logical conclusion is that no development should be permitted that creates an overall increase in Carbon Emissions. The proposed development would increase consumption of Energy in the Borough and so contravene the Climate Change Strategy. Supermarkets rely heavily on road transport to manage the logistics of food delivery, sometimes transporting goods hundreds, or even thousands, of miles unnecessarily. Supermarkets use high levels of electrical power for heating, chilling and lighting their retail stores, far above normal household consumption for a similar size of buildings. The added Carbon Emissions from this development would be attributed to the Borough and its citizens. In future, under international treaty and national law, we will all be required to reduce our local Carbon Emissions, or pay a tax (or buy a credit) to enable others to reduce their local Carbon Emissions. By allowing this development with its inherent added Carbon Emissions, the Borough would be placing a future financial burden on the people who live here. Let me give a parallel example : the people who live in the Borough are often reminded of the amount of packaging waste they dispose of; and we are required to pay for the collection and disposal of this packaging waste through our Council Tax. But the source of much of this packaging waste is the wide array of supermarkets in the Borough, and it can be argued that it should be the responsibility of the supermarket companies to reduce their packaging of products in order to answer the problem. It would cost them little and save us a lot. In the same way, if the Highams Park supermarket development were permitted as its plans indicate, the Borough as a whole would be made responsible for the Carbon Emissions of the supermarket by default, because there is no commitment from the developers to mitigate more than a minor proportion of the expected Fossil Fuel Energy use. The citizens would end up paying extra Council Tax to meet the Carbon Bill of the new supermarket. I do not think that any development should be permitted on this site unless the Developer makes explicit and contractual agreements to make this store completely Zero Carbon, (as Tesco have done in Ramsay, Peterborough). I would strongly urge that at the very least this planning application is subject to Zero Carbon obligations on all transport of goods to and from the development, and include Zero Carbon requirements for the construction and operation of the development. But even applying the “Merton Rule” of 10% Renewable Energy, or the more ambitious 20% of the more recent national and London plans, this does not accord with the overall aim of Carbon Emissions reductions. This proposed development would still be net Carbon Positive, even with its nicely designed “Renewable Energy Centre” powered by forestry and farming waste brought in by Heavy Goods Vehicle. A facility which may be judged “unfeasible” and drop out of the plan after outline planning permission is granted, to be replaced by a 24 hour petrol station competing with the garage across the street. The planning application from Tesco in its current form, if granted permission to proceed with development, would reverse, or totally wipe out, any other measures being taken to reduce Carbon Emissions in Waltham Forest. The Local Development Framework must be treated as fully integrated with the Sustainable Communities Strategy. The planning application under consideration would clearly impact the local economy because of its vast size. Spending ones income in a big chain supermarket does not retain the wealth in the London Borough of Waltham Forest. Only a small part of the profits made from a supermarket would be returned in salaries to people living in the Borough. The rest of the profits would be returned to the supermarket shareholders, wherever they happen to live in the world. The Sustainable Communities Strategy has the aim to : “Create wealth and opportunities for residents”. However, the “Full employment and increased prosperity” and “Higher skills levels” objectives could not be met by the small number of unskilled new jobs in supermarket retail from the proposed development. It is not guaranteed that the business units incorporated in the plan would generate new employment as they are unlikely to host entirely new enterprises. The proposed development would not mitigate this issue, by design. Tesco is a multinational, transnational corporation whose wealth is managed outside of the control or influence of the Local Authority in Waltham Forest. Waltham Forest has identified objectives that include “22. Improve the local economy by attracting inward investment”. The problem with supermarkets is that although they are funded by “inward investment”, they also remove wealth from the area because they are not locally owned. 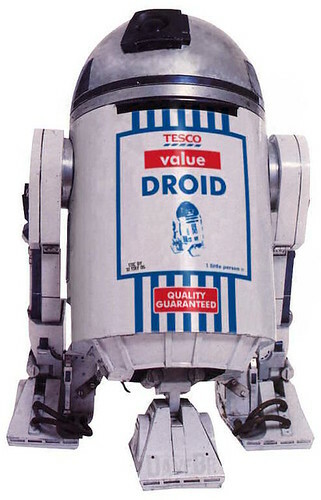 From my point of view, Tesco offers unnatural and unhealthy competition. The implantation of this very large development would make the supermarket the dominant retail player in the area. The management of Tesco supermarkets is so powerful that it can do such things as undercharge for essential food products in order to win customers, reduce its margins on goods that are sold by other local retailers, and can impose low-paying contracts on farming suppliers. This makes the food look cheap to the consumer, but it is unfair trade in my view, and has negative ecological, economic and social impacts. The scale of the supermarket planned for this development would be much larger than any other food retail outlet in the immediately local area, and backed by its national organisation and international funds, would find it very easy to “out-compete” with local businesses. There is the obvious risk that this would damage the functioning of local businesses. The net result could be a reduction in variety and choice for the local food customer, the closure of local businesses and the resulting “Clone Town” would go against the Sustainable Communities objectives on diversity. Tesco is already a destination for several London Bus routes, such as the 275 that goes to Barkingside from Highams Park. I do not want to live in a Tesco Town, a town dominated by one retail giant, which takes wealth out of the area but doesn’t put wealth in. The housing section of this development plan would draw over 250 new residential households into the area. There would be considerable added stress on the local schools, health services and transport, both public and private. This development would rapidly and sharply increase the population of Highams Park without offering essential new services to cater for them. The new housing required in Waltham Forest should best be built or developed in dispersed locations to avoid such problems. It appears that in this plan, much of the new housing required in the Borough would be co-located on one single site, highly detrimental to integration. The supermarket section of this development would markedly increase local traffic and worsen congestion in the area. There would be a significant increase in Heavy Goods Vehicles in a residential area with several major schools and nurseries. This would all have knock-on effects on air quality, health, road safety and the transit of essential emergency services. All the people of Highams Park currently have enough to eat. We do not ourselves need more food provision. The supermarket would therefore only succeed by drawing retail from other Boroughs of London, as admitted by the plan’s designers. Besides the traffic problems that this would cause, this will also inevitably affect cohesion and security of the local community, adding insecurity through the increased presence of people who do not live here. I do not accept that the London Borough of Waltham Forest should be required to support the business activities of Tesco by allowing local environmental and social indicators to become negative. The citizens of the Borough should be protected from worsening traffic congestion, worsening health prospects, degraded security and over-subscribed local cultural and health services. These very serious transport-related issues have not been properly and completely addressed by the Planning Application under consideration. The Waltham Forest Local Development Framework will not be fully adopted until 2010. Yet this does not mean that any development agreed before then can forego meeting the environmental and social objectives in the Local Development Framework. So, in other words, a full impact test is required by any planning application made now in Waltham Forest, while the local development plan is being finalised. It would require detailed reports and assessments on projections of local traffic congestion, air quality, Carbon Emissions, quality of life and public safety as a minimum. Until now the reports on Traffic, Air Quality and Economic Assessments connected with the Planning Application under consideration are inadequate for a Full Impact Test in my view. There is evidence that there has been poor management of the land considered under this Planning Application. Tesco contractors have bulldozed the buildings that were previously on the site, and have left the land fenced off and unused, thereby devaluing it, having taken it out of economic activity. I can imagine the land being used to accommodate buildings for a food cooperative, weekly fresh food markets sourced from local farms, and food-related small enterprises, such as a garage for bicycle delivery schemes. I trust that the Planning Committee will reject this [ over-sized, energy-hogging, congestion-inducing retail and rabbit-hutch housing ] application from Tesco. We have also sent e-mails to those mentioned in the leaflet we received. We have pointed out that in the highamsgreen website on the “flythrough” Tesco appear to have omitted any sign of a level crossing, railway or the yellow box junction. Wonder why they should do that? By the way, we tried to send an e-mail to Iain Duncan Smith but his e-mail address came back as undelivered.